How Do Missionaries Make Money? 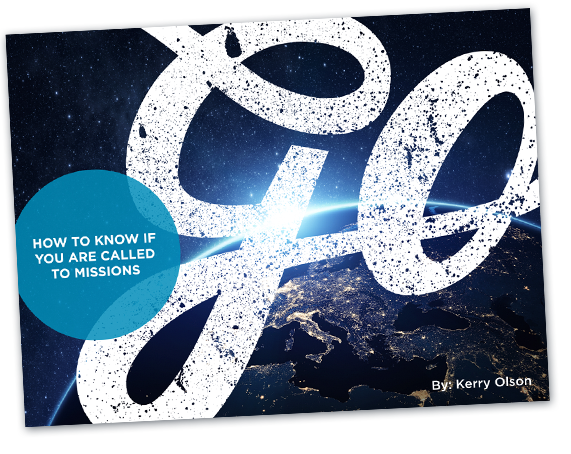 Home » Posts Page » Blog » Funding Missions » How Do Missionaries Make Money? One common concern that those considering a full-time career in ministry face is whether or not that specific career path will provide enough income to provide for themselves and their loved ones. It is a pretty well-known fact that full-time church staff members and missionaries make very little money and have often struggled to provide on that small salary alone. That being said, it is Bethany Global University’s desire to see our students avoid this struggle. One way we do this is by offering a tuition-paid work-study program. Another way we do this is by educating our students on how to make wise decisions with money, teaching them to see everything from God’s perspective, and seeking to answer hard or confusing questions. So how much money do missionaries make, anyways? We will seek to answer this question in the following article. Full-time missionaries typically have four streams of income that fund both their ministry as well as their day-to-day needs. These four streams are salary, monetary allowances, sponsorship, and benefits. According to the Bureau of Labor Statistics, full-time Christian missionaries fall into the “other” religious workers category (meaning religious workers that are not listed separately according to their registered organization). The mean hourly wage for a single missionary, according to BLS, is $16.49 per hour, which averages out to $34,300 per year. This salary comes from whatever missions organization that the missionary is serving under (their sending agency). This money is meant to be used by the missionary and his/her family for day-to-day living costs as well as the advancement of their ministry. The second stream of income for full-time missionaries is monetary allowances. There are several reasons as to why one may receive a monetary allowance, including (but not limited to) having children, situationally-based furlough, retirement, and disability. These allowances are granted based on need by the sending organization and are given in addition to an annual salary. The third stream of income is sponsorship, which is the most well-known. Sponsorship happens when a missionary shares their vision, goals, and plans with an individual or a community (family, church congregation, etc.) in hopes that the listening audience will be moved and encouraged to support the missionary both through prayer and finances. The ultimate goal for a missionary in this is to build a strong web of sponsors who will be there to lift up and support them in their ministry, as well as provide for their physical needs. Sponsorship can be organized through the missionary’s sending organization or through the missionary personally. The fourth and final stream of income that we will be looking at comes in the form of physical benefits rather than hard cash. Some of these benefits include (but are not limited to) the provision of housing, health care, education (both for the children and adults), electronics, and transportation. These benefits can be given to the missionary through their sending organization, family, friends, or anonymous donors. It is also not uncommon for donors to gift items to specific recipients on the field. Making the choice to chase after God’s calling on your life as a full-time missionary is never an easy decision. Choosing to forfeit all that the world has to offer in pursuit of God’s Kingdom is a choice that requires great sacrifice. However, we know that as you are following God’s will for your life, He will work for the good of those who love Him and will always be faithful to provide.